There is nothing quite like cauliflower. It is simple, yet rich, and packs tons of flavor and nutrients. Whenever I get the opportunity to get a great deal on cauliflower, I grab it and this is just one of the meals I consider a go-to, and hey, who ever goes wrong with soup? Cut the cauliflower into small florets and put in a large bowl. Add oil and seasonings, and toss to coat. 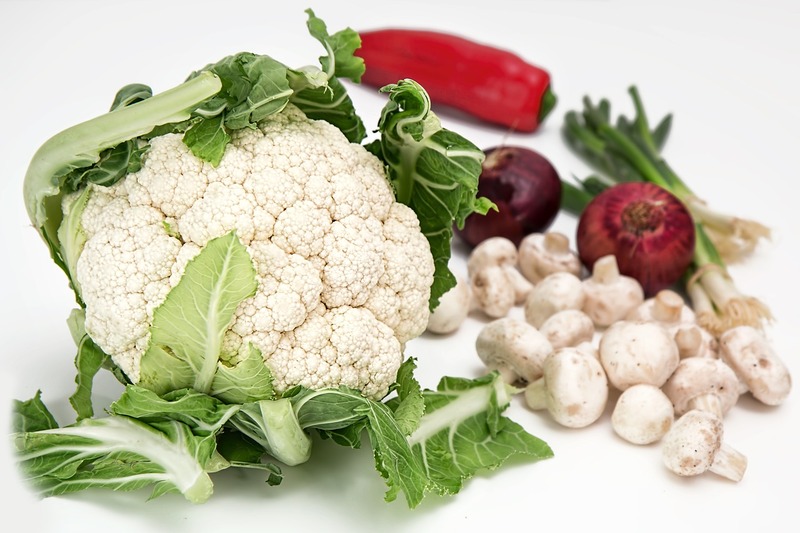 Place coated cauliflower on a cookie sheet or roasting pan and roast in the oven for about 30 minutes, turning every 10 minutes so as not to burn. Cook until golden and tender. In a large saucepan over medium heat, melt butter and add onion. Cook until the onion is translucent in color. Add flour to onion and stir. Add the chicken broth and milk to the pan gradually stirring constantly until it thickens, then reduce heat. Take half the soup, and blend in food processor, then recombine.